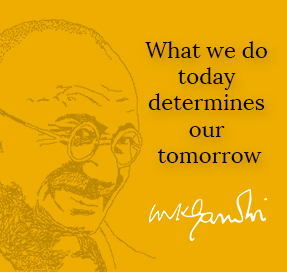 Caring for the Elderly is a priority at Shanti Ashram. 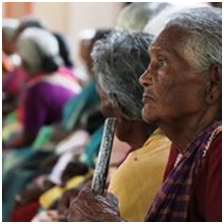 Together, with the three programme divisions of Shanti Ashram the Bala Shanti Programme, the Sustainable Development programme and the Youth Leadership programme – the International Center for Child and Public Health always has served the elders, especially the most vulnerable socially and economically for the past 7 years. In the special meeting with the elders held on November 3rd, 2018, there were 65 elderly vulnerable women from 7 of our service villages between the age group of 55-80 years. The service villages included Kurichipudur, Athupalam, Ramachettipalayam, Sundakkamuthur, Vaykalpalayam, Arivolinagar, and MGR nagar. 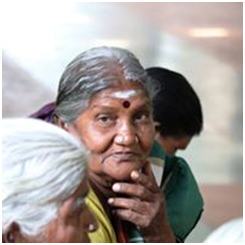 The elders form part of a service cohort of Shanti Ashram and the majority are living on their own. All vulnerable elders (above 50 years) residing in the service villages were informed by their respective Community Health Organizers a week before the planned programme. A list of expected beneficiaries was finalized before the programme was scheduled. The programme was co-organized by International Center for Child and Public Health (ICPH) along with the Youth leadership Programme, the Bala Shanti Programme and the Sustainable Development Programme of Shanti Ashram. Each programme division took responsibility for one aspect of the celebrations. The celebration began with an Interfaith Prayer led by the Ashram staff. The other highlights included: recall of the commitment to the care of the elderly, the 32 year journey of Shanti Ashram in serving the community, few thoughts on the significance of Diwali- the Festival of Lights, Remembering Mrs.Minoti Aram, the cofounder of Shanti Ashram, Observing of the ‘International Day of the Elders’ and the achievements till now. A special mention was also made of the bi-monthly Geriatric clinic set up by ICPH and the PSG Hospitals and its achievements. Over 500 elders have benefitted from this since its inauguration in January 2018. Diwali gift packets were distributed to all the elders by the invitees and representatives of Shanti Ashram. This vibrant and interactive programme of ninety minutes ended with acknowledging gratitude to our generous donors without whose help the special Diwali gift hampers would not have been possible. The elders who participated also shared their thoughts, concern and hope. The celebration ended with the collective singing of ‘anbe deivam’ (Ashram’s concluding song). The special invitees who graced the occasion were Shri.A.M.Alagiriswamy, Trustee, Shanti Ashram, Mr.Janaki Ram, Manager, PSG Hospitals with 2 team members, Mrs.Punitha Deivanayagam, Mrs. Karabi Endow Mr.Abdul Hakim, Jamat Islam hind, Coimbatore, Ms.Pavithra (Volunteer) and her mother. The Diwali gifts to the elders consisted of a Saree, Food bank assistance (Rice, Chick-pea, Dhal, Horse gram, Ootyvarky), Soaps both for bathing and washing, Sweets with Savories, Iron tonic and supplies. Lunch with sweets was hosted for all the elders. We are honored to have received contributions both in cash and kind. Without this support we would not have been able to organize this celebration for our elders.